← A side. B side. Oh, that’s clever. Very clever indeed. Looking now at a mock-up of the plan I’m so fascinated with that concave view and the way the plan layers against itself. I am quite proud of this one. I’m continuely in awe of the creativity and ingenuity of these designs. I agree with Simon, that’s a very clever use of space. Unlike the Matchbox, the construction here is much simpler which could be a step toward achieve-ability. Thank you for the kind compliment. Much appreciated. If you could get rid of the seductive tyranny of that curve but keep the idea of one portion of the railroad in front of the other, you could hinge front scene to rear scene in the left corner. When front swings out, front and rear form an L.
I like cassette staging as much as anyone, but using a cassette to switch from one layout segment to another only 500mm away is a lot more “railroad thoughts” than I am willing to entertain. At present. I hadn’t thought of hinging the front until you suggested it. Might make access easier too. Further I like the way the layout could change, transform, when opened. That’s an idea I’ll hang onto. Thanks! Love this scheme, I can also visualise it as a snake, front section 2/3rds convex to the viewers, and rear 1/3 concave. Keeping the same sky colours and tones, you could also change season, with each section showing clearly defined and modelled seasons. If you mirrored the layout at the left side as illustrated, you could depict the whole year.. Certainly an important detail is maintaining a consistent sky and horizon across both scenes but you could play with the lighting over each scene to accentuate each’s focal point. You could also contrast in ground cover. If one end were a coal mine you could really build more dark tones to contrast. Okay – this is really neat. When do you start building?!? The more time I spend with the more interested in the idea I get. Those are really nice sketches highlighting the designs you’ve created, Chris. By contrast, mine would have looked like pencil lines with accompanying singed eraser tailings and lots of rubouts. ‘Cause that’s what they would have been. Oh, and glad to see Prince Street Terminal back. It’s been a long 2,423* hours without more. Thank you for the warm welcome Eric. Earlier I had started the corresponding Prince Street Facebook page to provide a landing place for quick posts and leave the blog proper for deeper dives – it’s good to have this post to prove the concept and I’m happy with how it worked. Most of my sketches are frantic pencil lines so it was nice to steal some time and do something nice. Great idea Chris. I’ve been meaning to ask if your new place has modelling space? I’m not really on Facebook anymore so am missing out on this content but always enjoy your posts. Thanks Tom. Always wonderful to hear from you. The new place has room and in a nice configuration that suits layout building – certainly more space than I’m in need of. I’m enjoying your posts recently too. Great stuff! Good to hear you have some railway real estate Chris. I’m just trying to get mine shipshape so that I can start my layout as I’ve got loads of ideas bubbling around for all sorts of projects but life just keeps getting in the way! That’s brilliant. Begs for a sector plate along the left side, two or three tracks perhaps. I’m not sure why the sector plate need be temporary though – if it’s permanent, alignment would be a snap. A sector plate is crucial to the plan working. I didn’t want to get into detailed track planning in this post but the tracks from the foreground scene to the background one are not connected within the envelope of this presentation so the only way to move from one scene to the other is some form of sector plate, cassette, etc. to physically move the train from the back to the front and back again. The more I play with this plan the more I want an equal length of off-stage track on the other end too. Somewhere where cars are fed into the layout from so that area can be invested in the play of coupling and uncoupling instead of storing trains. My reason for not typically including staging fixed to the layout is the public places where my layouts are located. I’m trying to tighten up their appearance and not flanking them in the visual mass of the two yards, I feel, focussed attention on the story within the stage. That said, you’re right. One platform containing all three elements (the layout and both staging yards) would be easy. Thank you again for the comment. I really appreciate it. I did mock up one version based on N scale models. What I found in that smaller scale interpretation was how it (the layout) wasn’t large enough to really achieve the effect of one scene wrapping in behind the other. That’s not a reason for me to stop with the plan, I’m still fascinated with it too. Thanks for checking in. I appreciate it. I was thinking about this more, specifically in the context of a North American interurban. A short sector plate or traverse table could be tucked into the middle, rather than off the side, in the rear of the overlapping area. Combined with some tight turns of a suitably prototypical nature…. 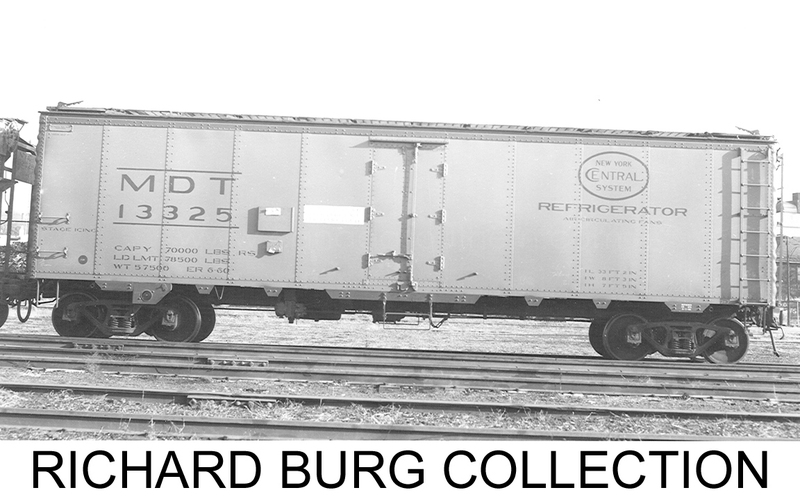 A steeple cab and three boxcars might fit into circa 175 scale feet. That’s 600 mm (24 inches) in ho. Other short trains (Maine 2 footers, perhaps) might also fit. I originally had a narrow gauge railway in mind when I designed this but it works so well with other options and I didn’t want to bog down the design with the railroad I saw in the space. It works as well, to me, with a modern American shortline as it does narrow gauge field railways. Streetcars could work well. Shorter trains of trolleys or maybe a steeplecab and a single car would require such a long sector plate and I like that. I wonder if you could present two routes, one in each scene and in doing so contrast an dense urban area against something more suburban? Exactly my thought – downtown in one scene, the trains disappearing into the urban canyons, and a more suburban end of the line in the other. I definitely see potential for a number of themes. Maine 2 footers, interurbans, industrial switching short lines, a harbor belt line. I mostly wanted to point out the “mid” sector potential. And that sector plate, I need to play around with it to better understand how it fits in here. Thanks for the suggestion. On the theme of interurbans, I note on Facebook you posted a photo of a series of double-decker tram models. Could those be the subject of a layout using the broken view/overlap design? And the recent comments on this post got me thinking about other possible prototypes. One that springs immediately to mind is a British tramway – using one of those short, enclosed steam engines such as the LNER Y6 – an 0-4-0 that’s synonymous with the Wisbech & Upwell, but which also ran on other lines. The best part is, given the small size of the prototype Y6 tram engine, and the typical 4-wheel British outline goods wagons it would pull, one could easily do this in 7mm (British 0) scale on your broken view/overlap design. A number of models have been offered for the Y6 in 7mm scale, including a Connoisseur Models etched brass kit, and a (now out of production) ready to run model by Skytrex.